We were honored to be contacted by Tai Long who is the great great great granddaughter of the original Union owners Charlie and Carolyne Gruber. She shared with us quite a bit of information handed down from Iva Gruber, who was Carolyne’s granddaughter. There is a lot of information but I’ve taken the liberty of paraphrasing to simply address the physical arrangement of the hotel for this post. More will come later. I promise. 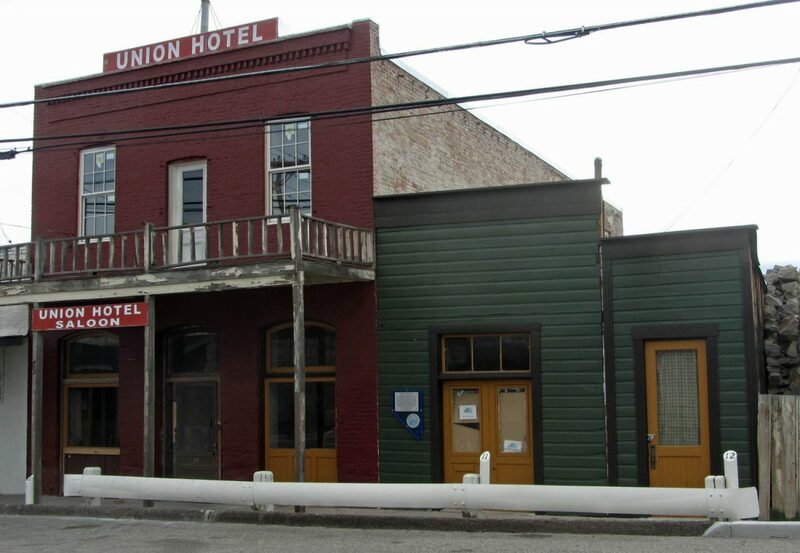 The Union Hotel consisted of two sections. 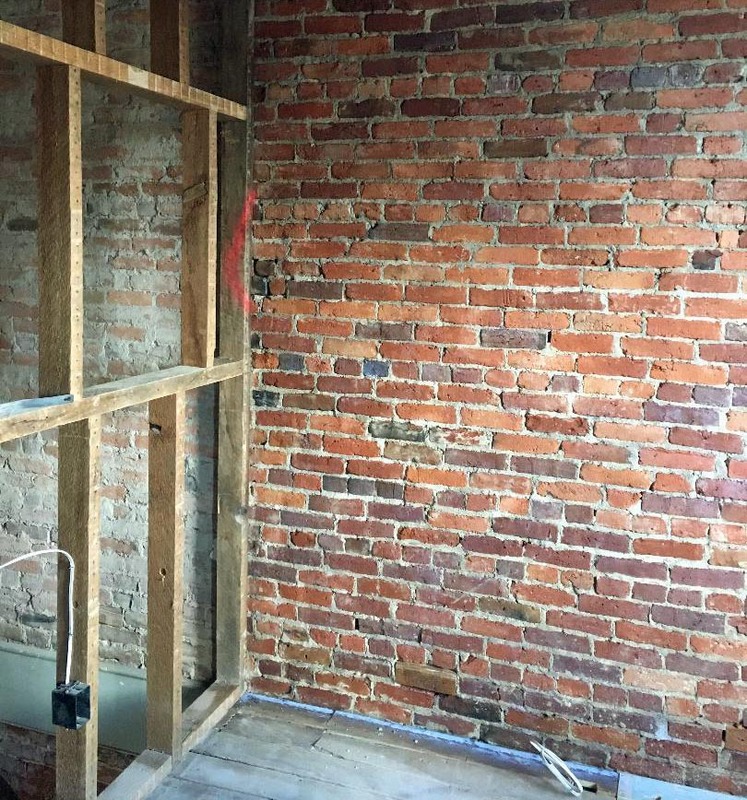 The brick portion remains today and is the part that we are renovating. There also was a wooden building attached to the rear of the brick building that no longer exists other than a few foundation stones buried in the yard. 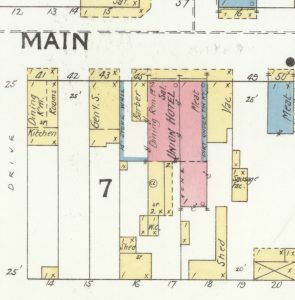 The Sanborn map from 1890 confirms the location of this structure. It’s the yellow building marked CL. The hotel had 14 small bedrooms upstairs, 10 in the brick part and 4 in the wooden part. The brick building also had a suite across the front which consisted of a bedroom and elaborately furnished parlor with a wood coal stove. Each bedroom had a bed, dresser, marble top wash stand with pitcher and bowl set, thunder jar (pee pot) and soap dish. There were also hooks on the door to hang cloths on. The rooms on one side of the hall were double beds and the other side of the hall were single beds. It’s interesting to note that there was only one closet on the entire second floor. It was attached to the suite and doubled as a separate entrance to the suite’s bedroom. Necessary functions were carried out manually. As there was no running water, it had to be carried upstairs to fill the pitchers and the slops were emptied down the 2 story outhouse which served upstairs and downstairs. The second floor of the outhouse was accessed by a bridge from the back of the wooden part of the hotel which, of course, no longer remains. The outhouse itself was a bit of a marvel. Upstairs, there were 2 rooms for patrons, each had 2 holes and a lock on the door for privacy and believe it or not, catalogues were placed on the seats for use as toilet paper. Downstairs, the Gruber family had 2 holes on one side. On the other side, beyond a wall and a privacy fence, there was a public room with 2 holes. 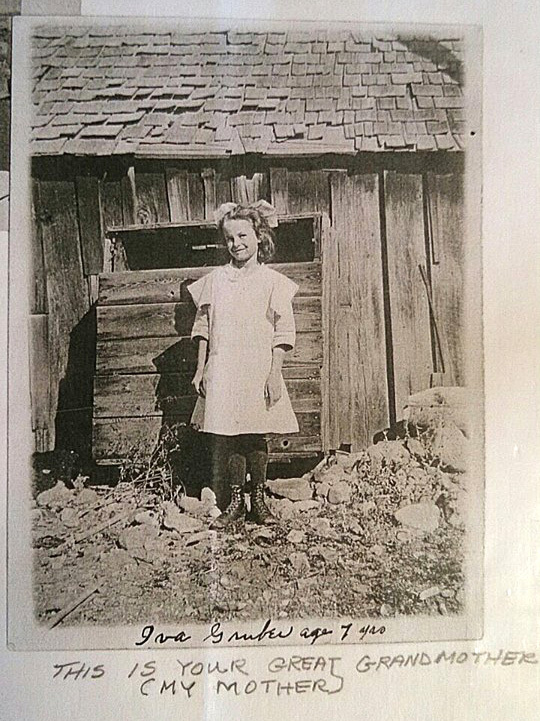 Apparently, the outhouse was torn down in 1950 for safety reasons. This conflicts with the other legends we’ve heard about the structure being strapped to a flatbed truck and shipped to Hollywood as a gag gift with a large red ribbon on it. The main floor of the hotel had a huge barroom. It consisted of a long bar and a glass cabinet hung on the wall. It had rock specimens and 2 baby crocodiles preserved in a bottle of alcohol. A pot belly stove stood 10 ft from the corner. Along the wall, were 3 marble top wash basins with running cold water. There was always a tea kettle on the pot belly for shaving purposes for roomers. A large square piano was also in this room with 4 legs and made out of rosewood. It played rinky tink sounds and it’s still in the hotel today. In the back half of the brick building, there was a huge dining room. This was served from a huge kitchen with a large range with double ovens and warming ovens. There were also two large pantries. It is my guess that this kitchen was on the first floor of the wooden building in back. Oh, and for those who are interested in how the renovation is coming along, we’ve made quite a bit of progress on the little details required before the drywall can go on. In particular, the stove flue has been boxed out on its way to the roof and the data cable to bring internet to Katie’s and my office has been run. The coolest bit though, is that Katie finished cleaning the exposed brick in her office and hit it with a coat of dust sealer. You can see how beautiful the brick becomes with verses the dusty original on the left.